Amy and Elder have discovered all of the ship's secrets and decided to take the risks and land on Centauri-Earth. Finally able to feel earth under her feet and wake up her frozen parents, Amy should be happy and satisfied. But she and Elder soon learn that there are more secrets and nothing is as it truly seems. Amy loses nearly everything trying to make this new Earth into a home. This was a great ending to the trilogy and just as good as the first two books, Across the Universe and A Million Suns. 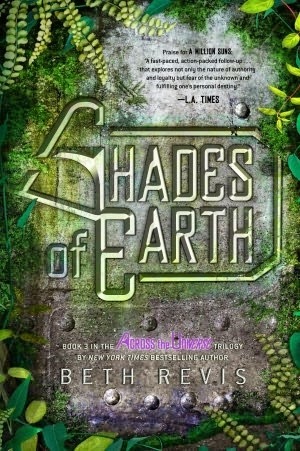 Revis has created an exciting world that will appeal to fans of both science fiction and dystopian literature. I was completely satisfied with the ending.